Not everyone will ever need a way to be able to cast their iPhone or iPad’s screen onto a TV, or computer, but if they do then there are definitely ways to do it. Some of those ways involve using AirPlay, which may mean having to buy something like an Apple TV, and others require either additional hardware to be bought or apps to be installed on the receiving device. Wouldn’t it be super cool if there was a way to have your iOS device’s streamed elsewhere without having to jump through hoops? Of course it would. Welcome to AirBeamTV’s Mirror to Windows PC. The company recently launched the app, which is what brought it to our attention, but it also has offerings that can be used for streaming to a Mac (more on this in a minute) or a number of set-top boxes or smart TVs. While some of that is not unique, what makes these solutions special is that they don’t need there to be any additional software or hardware involved, at least. That’s because the receiving PC or Mac (we’re going to focus on what we can test) only needs to have Google Chrome installed in order to receive the transmission. 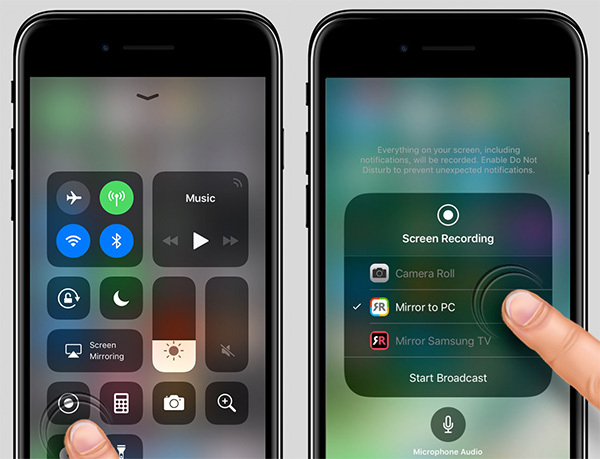 The iOS device handles everything thanks to its built-in screen recording functionality and its ability to “throw” that captured data to other apps, namely, the Mirror to PC or Mac apps. Making all of this work is a simple case of launching the Mirror app on your iOS device, at which point you will be presented with a unique numerical code. Next, the receiving computer needs to fire up Chrome and then head to start.airbeam.tv. 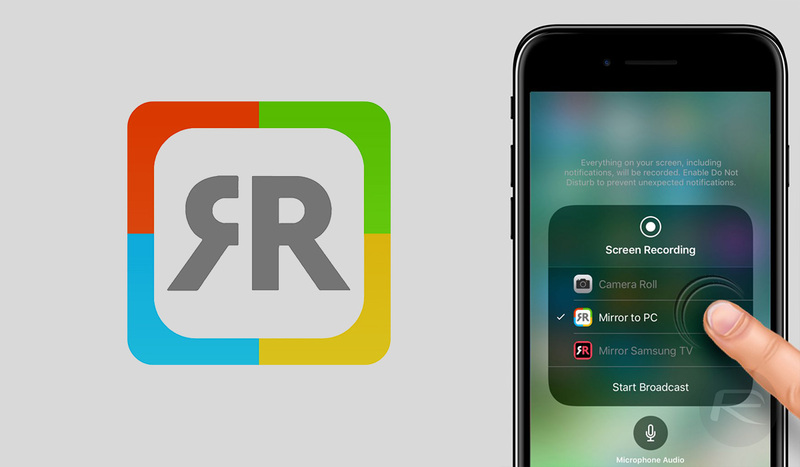 Entering the aforementioned code here will establish the connection, at which point the iOS device simply needs to activate screen recording mode and make sure that the Mirror app is selected as the destination. All this is covered in the documentation for the app, but it’s so easy, we’re pretty sure you’ll figure this out for yourselves. There is, of course, something to remember here. The way this all works means that your device’s screen is being sent to the AirBeamTV servers, which in turn means that it could theoretically be seen by someone you don’t know. That could be an issue depending on what you’re displaying, and it’s absolutely worth bearing in mind. Also worth noting is the fact that there are a number of apps available from AirBeamTV that can do this, depending on which receiving device you want to use. Oddly, there are Mirror to PC and Mirror to Mac apps, both priced at $4.99, that appear to do exactly the same thing. We used the Mirror to PC app to stream to a Mac without issue, and considering Chrome is the app receiving all the data, we don’t imagine there being any difference between the apps at all. Keep that in mind before buying both – you really don’t need to. If you can get past the potential privacy implications here, this app actually works really, really well so be sure to check it out if you have a need for it. We don’t think you’ll be disappointed. I wasted 4$ on this crap. Don’t buy it guys. It’s waste of money and time. Video won’t sync correctly. And it’s choppy. Some times it will work if the video quality is really bad. And their getting started guide starts with a test asking you to connect to YouTube streaming… wow awesome, but hey it already works without any app. ? …or just have AppleTV and you can mirror anything in HD to your TV.